Northern California, like Southern California, is not a formal geographic designation. 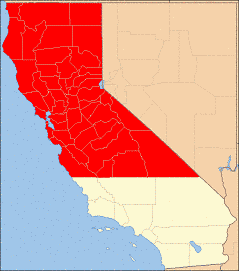 Popularly, though, “Northern California” usually refers to the state’s northernmost 48 counties. The term is sometimes applied to the area north of Point Conception and the Tehachapi Mountains. California is rather large and long. It’s the 3rd largest state and has a very diverse geography. You could also divide the state other ways besides northern and southern California. Sometimes you hear other ways spoken of, for example, the Central Valley. It is a distinct region in itself both culturally and topographically compared to coastal areas of California. Northern California’s main population centers include the San Francisco Bay Area (San Francisco, San Jose, and Oakland), the Greater Sacramento area (the state capital Sacramento), and the Metropolitan Fresno area (city of Fresno). Northern California also contains redwood forests. It has the Sierra Nevada mountains including Yosemite Valley and part of Lake Tahoe. 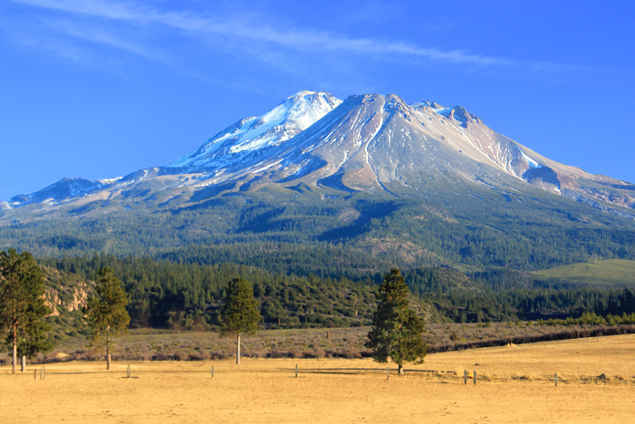 There is also Mount Shasta (the second-highest peak in the Cascade Range after Mount Rainier in Washington). Then there is the northern portion of the Central Valley. It is one of the world’s most productive agricultural regions. This huge northern region also contains redwood forests. The Sierra Nevada including Yosemite Valley and part of Lake Tahoe are also in the northern part of the state. There is also Mount Shasta. The northern part of the Central Valley, one of the world’s most productive agricultural regions is also here. One of the largest Brackish-Marsh’s in Western United States, Suisun Marsh is also in the northern part of California. 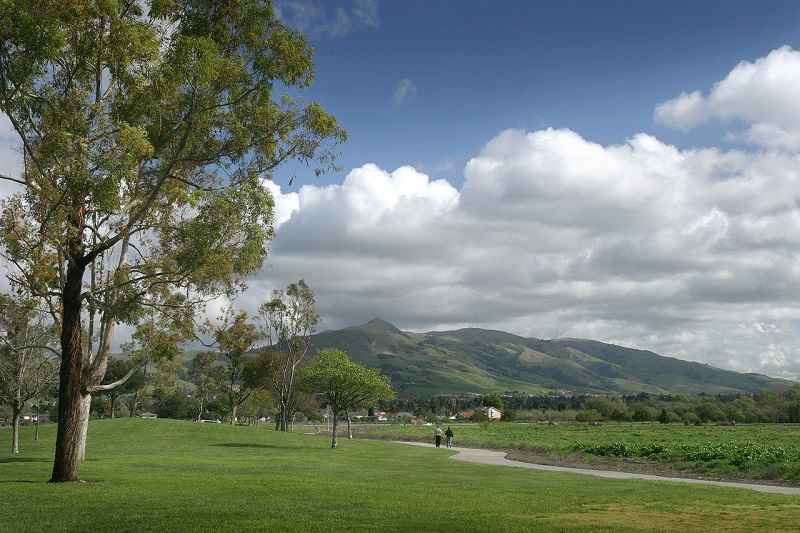 The area is also known for its rich, fertile farm and ranch lands, and wine country. There are the high mountains of the southern Cascade Range and the Trinity Alps. Klamath Mountains and lakes are in the northeast portion of the region. Along the coast the climate can be generally characterized by marine to warm Mediterranean climates. It is somewhat Continental Mediterranean type Climate in the valley. Alpine climate zones are in the high mountains. Except for the San Francisco Bay Area and the Sacramento metropolitan areas (and a few other cities in the Central Valley), northern California, unlike its southern counterpart, is a region of relatively low population density. The diverse geography of northern California ranges from the rugged snow-capped Sierra Nevada mountains in the east. There are the sandy beaches of the Pacific coast to the west. The central portion of the region is dominated by the Central Valley. It is one of the most vital agricultural areas in the country. 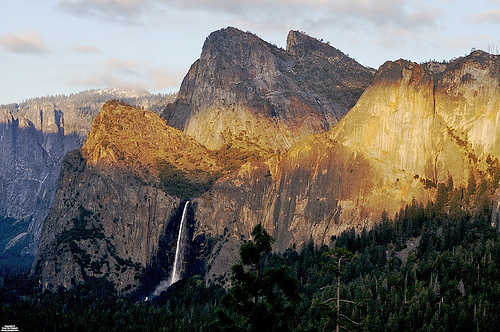 The Sierra Nevada contains Yosemite Valley, famous for its glacially-carved domes. Yosemite Valley in the Sierra Nevada. The Sierra Nevada mountains contains Sequoia National Park. It is home of the largest trees on Earth, the giant sequoia trees. 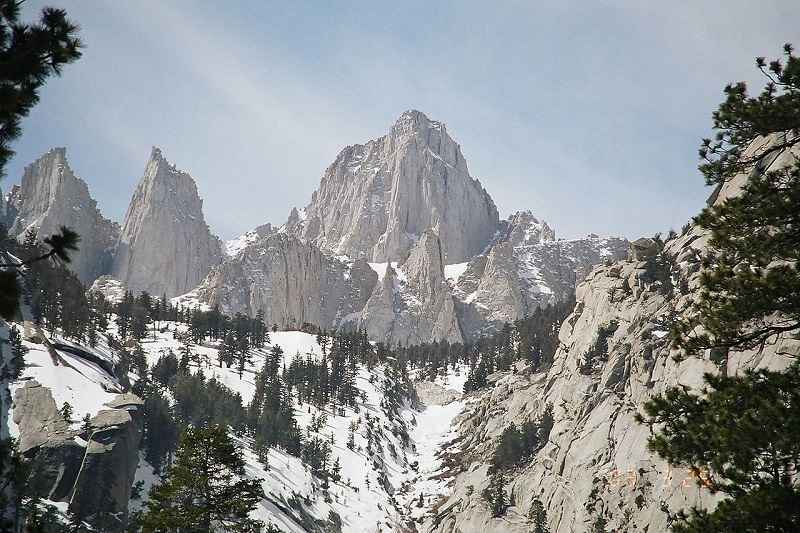 These mountains include the highest point in the contiguous United States, Mount Whitney. The tallest living things on Earth, the ancient redwood trees, dot the coastline. They are mainly north of San Francisco, and in the Santa Cruz Mountains. Lake Shasta is the largest reservoir. It is the third largest body of water after Lake Tahoe and the Salton Sea, in California. The population of the counties of northern California have increased steadily over the years. See chart. The largest increase occurred during the 1980s (over 2.1 million person increase). Newcomers to the area were attracted to job opportunities. It was partly because of the expansion taking place in Silicon Valley. The population also increased due to the Cold War era expansion of the defense industry. The 2010 U.S. Census revealed that northern California grew at a faster rate than Southern California in the 2000s. The rate was slightly higher than the state average. 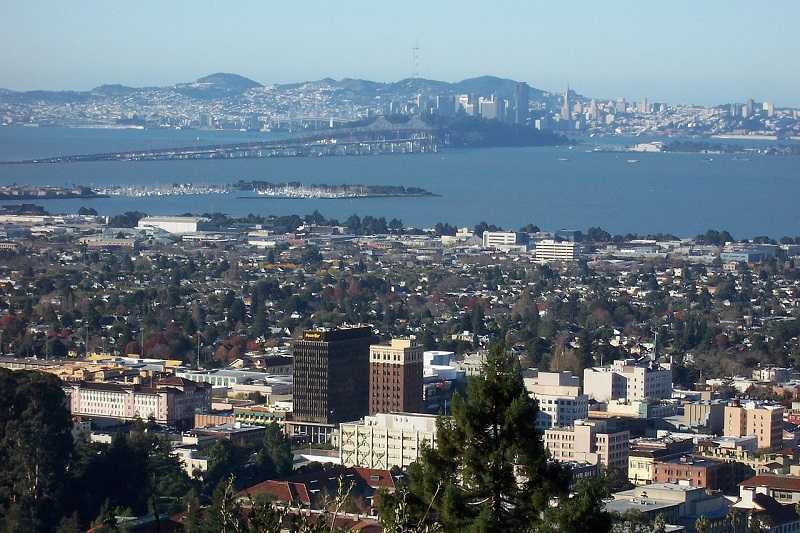 Ever since the development of world-famous and online business models such as Apple, Hewlett-Packard, Google, Yahoo!, and eBay, northern California has been at the forefront of new ways of doing business. In science, this region of California was the first to isolate and name fourteen transuranic chemical elements. Also breakthroughs in microchip technology occurred here. Among other cultural contributions, it was the cradle of an international environmental movement. That was the open casual workplace, which was first popularized in the Silicon Valley dot-com boom. Now it is widely in use around the world. It is also Home to one of the largest Air Force Bases on the West Coast. The base is the largest in California, Travis Air Force Base. A large and diverse group of parks in northern California are controlled by the U.S. National Park System. The best known is Yosemite National Park, which is displayed on the reverse side of the California state quarter. General Sherman, largest known living single stem tree in the world in Sequoia National Park in Northern California. However there are other prominent parks in the region. There is such as Kings Canyon-Sequoia National Park complex. Thete also is Redwood National Park. Plus Lassen Volcanic National Park. Plus there is the largest national park in the contiguous forty-eight states, Death Valley National Park. There are also other areas under federal protection. They include Muir Woods National Monument. Also the Giant Sequoia National Monument. Add the Point Reyes National Seashore. Also the Monterey Bay National Marine Sanctuary, to name a few. 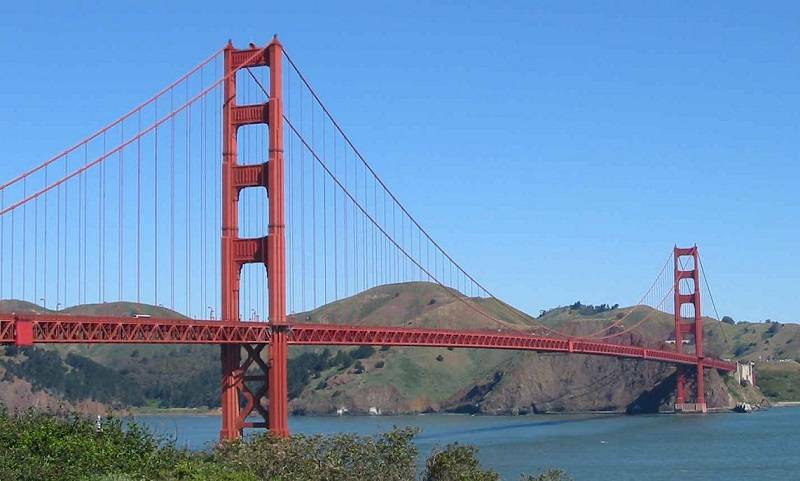 There are several well-known Northern California universities which include Stanford University and University of California, Berkeley. Some top-tier public graduate schools include Boalt Hall, Hastings law schools, and UC San Francisco, a top-ranked medical school. Other top school is UC Davis School of Veterinary Medicine, the largest vet school in the United States. There are five University of California campuses and eleven California State University campuses plus a large number of local community colleges. Northern California has many attractions, but Lake Tahoe is one of them that almost everyone in the United States has probably heard of. Lake Tahoe, a large freshwater lake is located in the Sierra Nevada mountain range in the United States. With a surface elevation of 6,225 ft (1,897 m), it is over a mile high and is located along the border between California and Nevada, west of Carson City. Lake Tahoe is the largest alpine lake in North America. It is 1,645 ft (501 m) deep. It is the deepest lake in the United States after Crater Lake’s 1,945 ft (593 m). 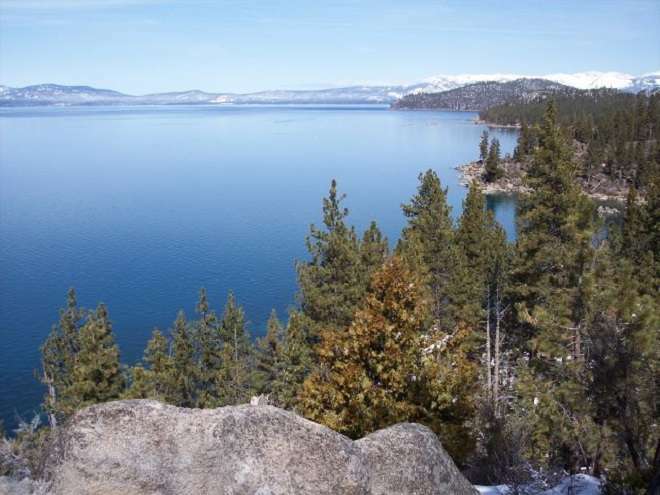 in addition Lake Tahoe is the sixth largest lake by volume in the United States, behind the five Great Lakes. Lake Tahoe is a major tourist attraction in both Nevada and California. If you are in Northern California anywhere in the area of the lake you should not miss this beautiful attraction. It is home to a number of ski resorts, and tourist attractions in addition to providing summer outdoor recreation. Snow and skiing are a significant part of the area’s economy and reputation. Mountain and lake scenery are always attractions throughout the year. The Nevada side also includes its signature attraction, large casinos and gambling. It is easy to reach Lake Tahoe by car, just take highways year-round from Reno, Carson City, and Sacramento. This is just a small sample of what’s here in Northern California. Click the links below for more articles about California. Charles Harmon writes for Travel Quiz Weekly. He has a personal blog at Yolky.com.